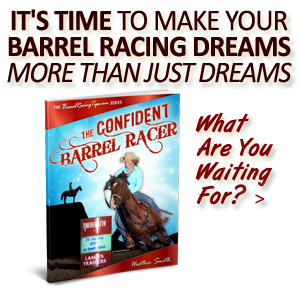 Now that we’re several days in to the 2018 Wrangler National Finals Rodeo – I bet you’re more than inspired to give your best effort to your own barrel racing goals in the new year! 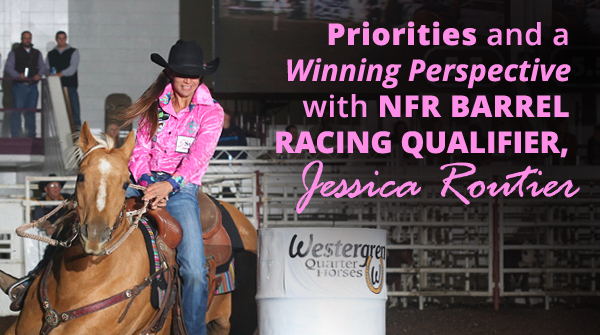 If you’re wondering what it really takes to make NFR dreams more than just dreams, there’s no one better to ask then the gals to who have been there, won that. 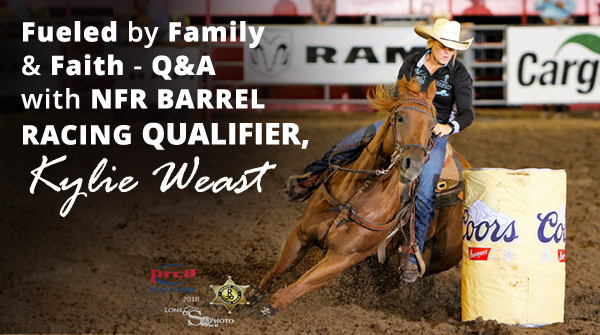 In today’s collection of Q&A’s, the top 15 NFR barrel racers share their greatest challenges and biggest lessons from the 2018 season, plus insights for overcoming adversity, as well as what they’re most grateful for. 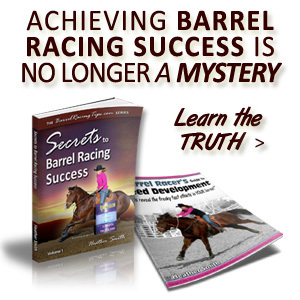 You’re sure to gain some valuable wisdom to apply to your own barrel racing journey! 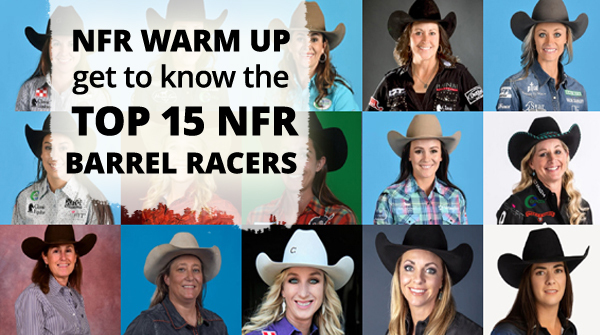 The top 15 NFR barrel racing qualifiers have arrived in Las Vegas and will soon be blasting down the alley at the Thomas & Mack. In anticipation of the rodeo action, I’m excited to share their reflections on the 2018 season, and what we can look forwarding to seeing in this years race to the gold buckle. 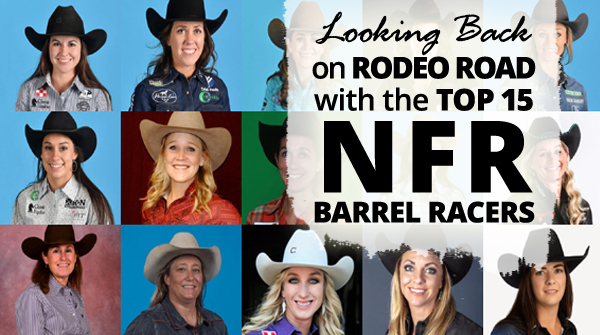 So before the gates open, let’s dive in and get to know these these amazing women and their horses who we can look forward to entertaining, educating, and inspiring us – at the 2018 NFR and beyond! Listen to this article in audio form! 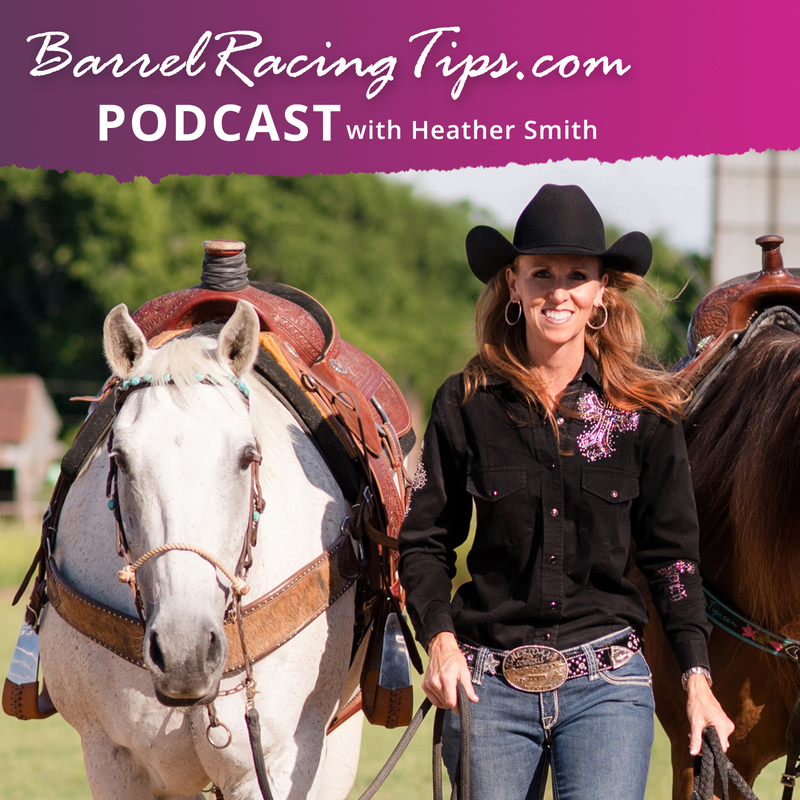 It’s #23 on the Barrel Racing Tips podcast. For the latest episodes subscribe on iTunes, Spotify, Stitcher, TuneIn or Google Play. 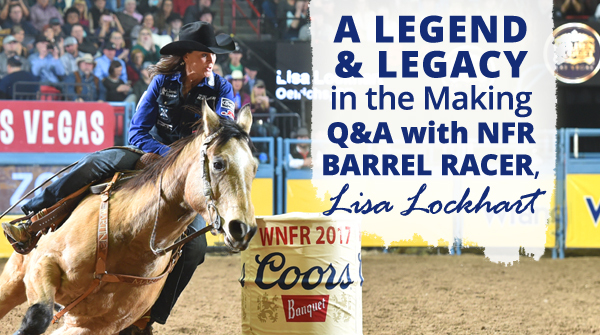 After 12 NFR qualifications, Lisa Lockhart and her top equine partner, Louie have already earned legendary status in the barrel racing world – and this dynamic duo is still fast as ever! Look for them to light up the Thomas & Mack this year and once again inspire us with their precision, speed and winning consistency! 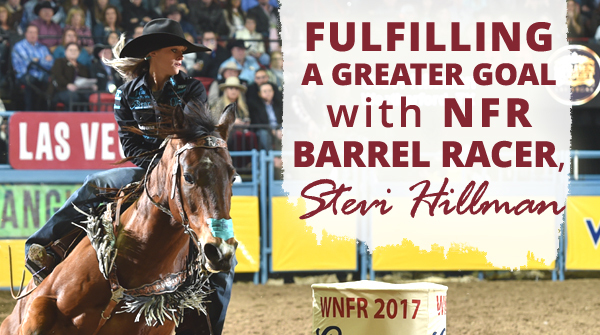 For professional barrel racer and NFR qualifier, Stevi Hillman, barrel racing may be a huge part of how she achieves her goals, but barrel racing achievements aren’t necessarily THE goal itself. In the Q&A interview below she’s shared numerous insights that will leave you motivated and inspired to go for yours as well! 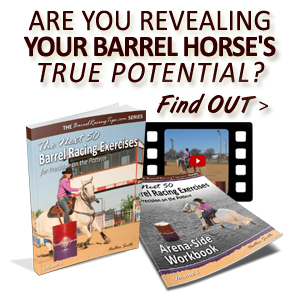 Tell us about the horse(s) you’ll be riding at the 2018 Wrangler National Finals Rodeo? Bogie is a Smash is ten years old. He’s quirky, but means business. He’s my main mount who has qualified me to the WNFR. Traffic Guy Shine is a five year old colt I got in May. She’s a little behind but has loads of talent. Do you think the Thomas & Mack environment will complement their running & turning style, or do you anticipate making any specific adjustments? Smash seems to deal well with anything. Obviously we would both rather be in a big outdoor pen. But that’s not what the T&M is so we deal with it. It might takes a few runs to adjust but I’m not changing much. 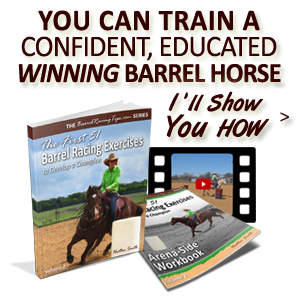 Go in how I know how to ride him and give everything we have. 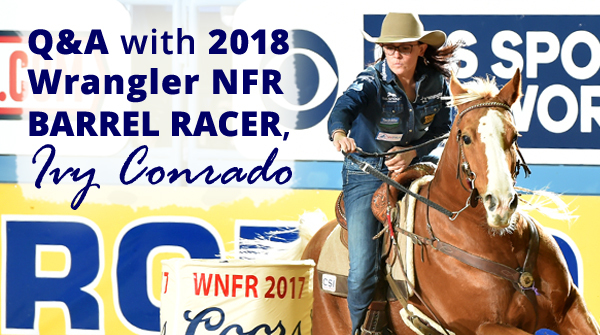 Tell us about the horse you’ll be riding at the 2018 Wrangler NFR? My main mount with be KN Fabs Gift of Fame, aka JLo. She is by Frenchmans Fabulous and out of Misty’s Dash Of Fame. 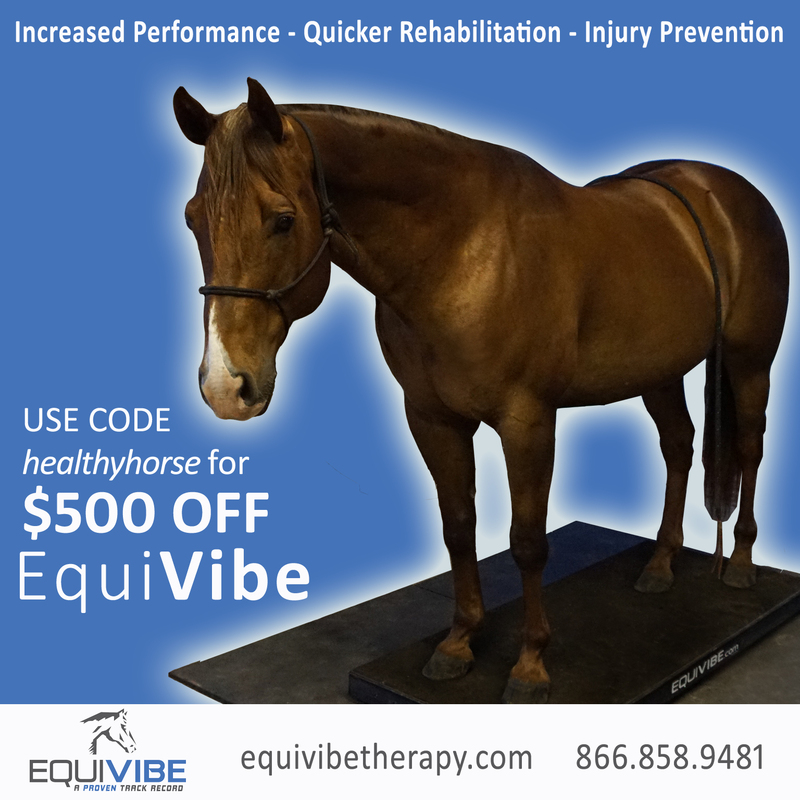 She is a sweet mare, pretty high energy. She needs exercised a lot! She is a pretty stiff and square mare so we try to keep her backed off pretty good. JLo is the most honest horse I’ve ever ridden. I truly love being her person! Tell us about the horses you’ll be riding at the 2018 Wrangler National Finals Rodeo? 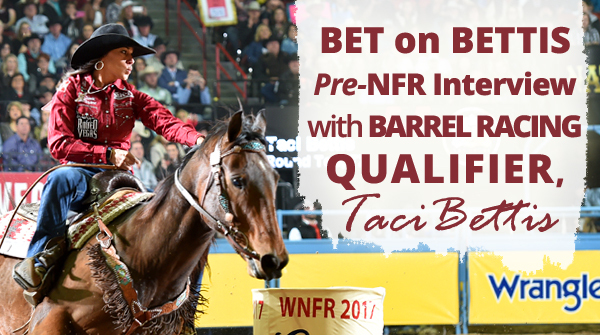 Tell us about the horse you’ll be riding at the 2018 Wrangler National Finals Rodeo? Fiery Miss West is a seven year old mare. She’s by Firewater Frenchman and out of Frenchmans Bodashus (Royal Quick Dash). “Missy” is a little palomino mare with a huge heart and a lot of try. She really uses her hind end in her turns but also keeps a lot of forward momentum going.